Meso Creso is a Washington DC-based, cross-cultural arts collective that cultivates creativity without boundaries. Named for Mesopotamia’s Fertile Crescent – often considered the cradle of civilization – Meso Creso fuses the whimsy of the burner culture with DC’s cultural diversity and social consciousness. We are known for our roving lounge, highly crafted art installations, joyful whistles and hand claps, and a DJ lineup that represents the rich cultural mix of our global community. 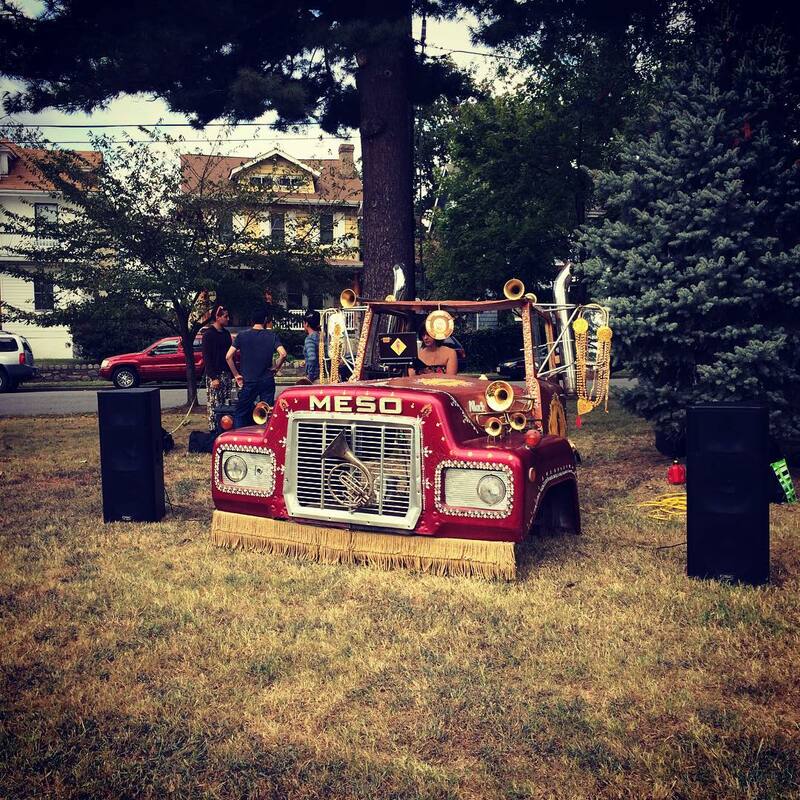 Featuring: Meso Creso Truck DJ Booth: Built from a 1967 Mack semi-truck, our DJ Booth is a fully utilitarian art installation. It is inspired by the highly decorated multiple forms of public and commercial transportation from around the world – from Pakistan to India, from Colombia to Haiti. The DJ booth truck represents Meso Creso’s diverse American, yet very immigrant, identity and sound.